SOLIDWORKS 2019 : Sketching and Intro to Modeling book includes step by step tutorials and videos showing students how to sketch and use the basic features to create part models in SOLIDWORKS. SOLIDWORKS 2019 : Modeling book includes step by step tutorials and videos showing students how to use the basic to intermediate SOLIDWORKS tools & techniques to create part models in SOLIDWORKS. 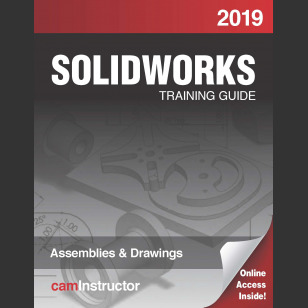 SOLIDWORKS 2019 : Assemblies & Drawings book includes step by step tutorials and videos showing students how to create assemblies by using basic to intermediate tools & techniques as well as lessons illustrating techniques to create part and assembly drawings in SOLIDWORKS. 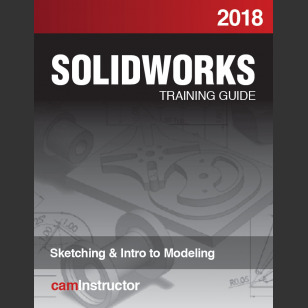 The Upgraded - SOLIDWORKS 2018 : Sketching and Intro to Modeling book includes step by step tutorials and videos showing students how to sketch and use the basic features to create part models in SOLIDWORKS. The Upgraded - SOLIDWORKS 2018 : Modeling book includes step by step tutorials and videos showing students how to use the basic to intermediate SOLIDWORKS tools & techniques to create part models in SOLIDWORKS. The Upgraded - SOLIDWORKS 2018 : Assemblies & Drawings book includes step by step tutorials and videos showing students how to create assemblies by using basic to intermediate tools & techniques as well as lessons illustrating techniques to create part and assembly drawings in SOLIDWORKS. 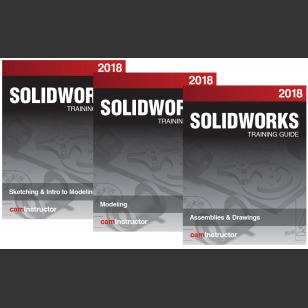 The Upgraded - SOLIDWORKS 2018, 3 Book, Training Guide Combo*: Sketching & Intro to Modeling, Modeling and Assemblies & Drawing includes step by step tutorials and videos showing students how to sketch, model and create assemblies in SOLIDWORKS. 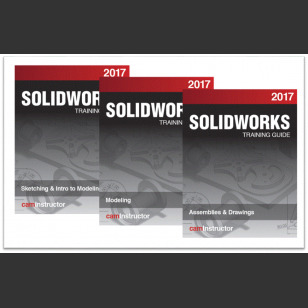 The Upgraded - SOLIDWORKS 2017, 3 Book*, Training Guide Combo: Sketching & Intro to Modeling, Modeling and Assemblies & Drawing includes step by step tutorials and videos showing students how to sketch, model and create assemblies in SOLIDWORKS. The Upgraded - SOLIDWORKS 2017 : Sketching and Intro to Modeling book includes step by step tutorials and videos showing students how to sketch and use the basic features to create part models in SOLIDWORKS. The Upgraded - SOLIDWORKS 2017 : Modeling book includes step by step tutorials and videos showing students how to use the basic to intermediate SOLIDWORKS tools & techniques to create part models in SOLIDWORKS. The Upgraded - SOLIDWORKS 2017 : Assemblies & Drawings book includes step by step tutorials and videos showing students how to create assemblies by using basic to intermediate tools & techniques as well as lessons illustrating techniques to create part and assembly drawings in SOLIDWORKS.